This week, I am straying from my normal post of children’s literacy issues to talk about book festivals. Many book festivals around the country will host them next month, in September, and the months to follow. Fostering literacy and encouraging the enjoyment of literature in young children and even in adults remains to be an important function of books festivals across the country. Children, teens, and adult programs at book festivals present opportunities for librarians, educators, aspiring authors, and parents to seek recent book releases in all genres, old favorites, book talks, the latest conversational topics, writing workshops, and food. All ages will find something they love at book festivals. 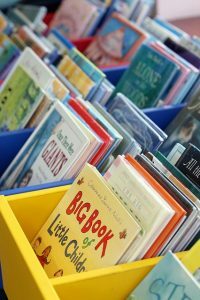 The following links will provide information about book fairs, festivals, and other children’s events that support literacy. In addition, I along with four other authors will participate as an exhibitor in the AJC Decatur Book Festival, in Decatur, GA on September 2-4, 2016. We will be located at booth 535 on Saturday, September 3 and Sunday, September 4, 2016.